The first gamebook I read was City of Thieves. 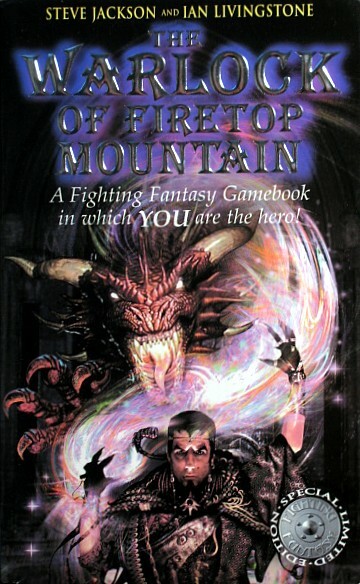 I hired it and The Warlock of Firetop Mountain out from my school library when I was about ten years old. That’s a very hard question. I have many favourites; Deathtrap Dungeon comes to mind, as does Talisman of Death and Night Dragon (maybe a surprise for some people). Over the Blood Dark Sea from the Fabled Lands series and even An Assassin in Orlandes from the newer Gamebook Adventures series. However, my absolute favourites would be out of Fire on the Water and Dawn of the Dragons from the Lone Wolf series. The former is a great, epic quest to save the world, while the latter takes you on a journey across most of the world of Magnamund. I’d have to go with Fighting Fantasy or Choose Your Own Adventure. CYOA is good because there is no math required, so very easy for others to pick up. 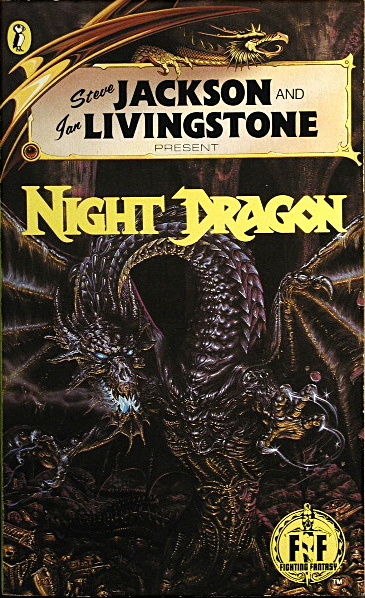 Fighting Fantasy adds the ‘game’ to gamebook without being overly complicated. In fact, I’d go so far as to say that starting with The Warlock of Firetop Mountain/Forest of Doom/City of Thieves would be the best bet. I have actually begun reading Warlock and Forest to my five year old and he has picked it up quickly, including the dice rolling. A gamebook is a book in which you take the role of the main character. By rolling dice (or some other mechanic) and choosing what the character does, you shape the course of the story and decide how it ends. Gamebooks can have multiple endings, and each time you play it can end differently, based on the choices you make. Gamebooks are not great COMPARED to games or books, they are great BECAUSE they are both games AND books. This combination is important; I have seen many kids who are usually into computer games or sport take up reading simply because of the unique nature of gamebooks. This fact alone makes them great; when a young kid chooses to read over the alternatives, it makes me smile. Why did you want to redo Fabled Lands? Jamie Wallis (owner, Greywood Publishing) and I were discussing trying to acquire a licence as our next project. We had worked together on Fighting Fantasy d20 with Myriador before, and are both fans of gamebooks. 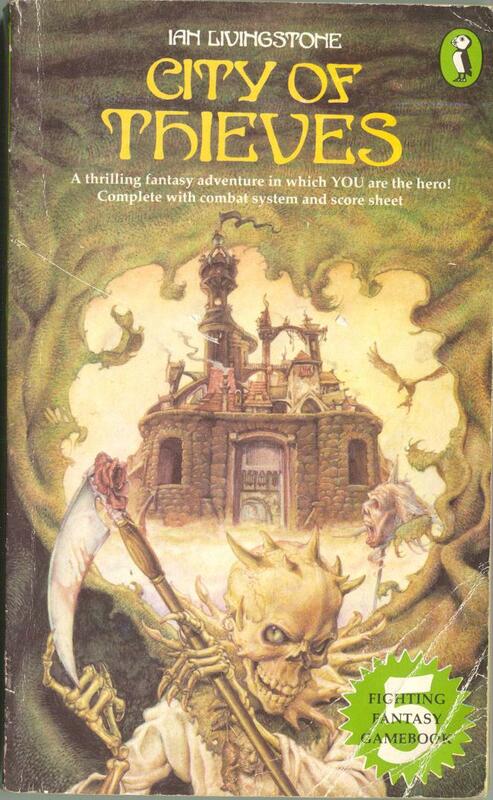 When the first licence we went for fell through, I pitched the idea of Fabled Lands (Fighting Fantasy had been done, Lone Wolf was done by Mongoose, and my other favourite series was Fabled Lands). I kind of just threw it out there, but it turns out Jamie had met Dave Morris (one of the gamebook authors) before and had his email. So the email was sent, and the rest is history. What did you think you needed to add to the Fabled Lands system to make it into an RPG system? The gamebook system worked well for a gamebook, but to turn it into an RPG it needed more. We added two new characteristics in order to handle common RPG situations, as well as two new professions not found in the gamebooks (barbarian and druid). We added skills, a magic system (the gamebooks have none) and more options in combat. The best part was hearing Dave say he thought the magic system fit the Fabled Lands world perfectly. What does a good RPG system need? Another hard question, and something that is a matter of opinion. If you had of asked me ten years ago, my answer would also be different. But to me, a good RPG needs to have focus, and a clear and concise (and not overly complex) set of rules. Too often these days RPGs have so many rules I cannot be bothered reading them. I want a game that can handle most situations with an easy to understand rules system and that doesn’t take two weeks to read. What is so great about the Fabled Lands setting? 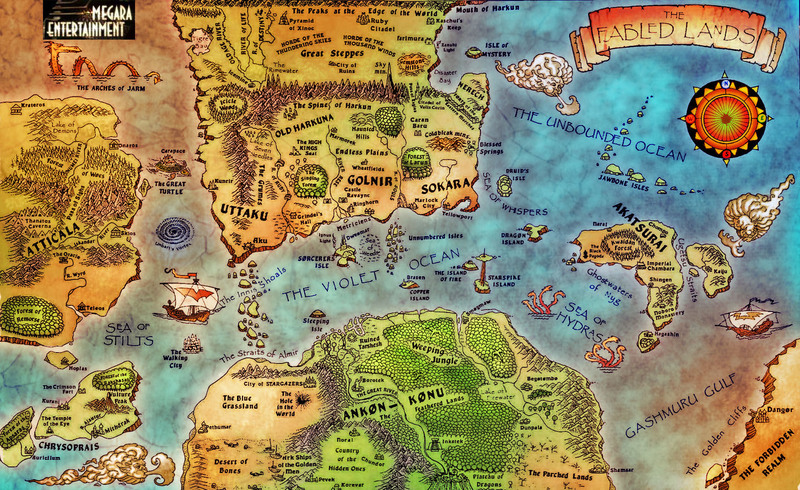 It’s actually not my favourite gamebook world; that would be Magnamund. However, it is my second favourite. What I like about it is that it is more based on mythical fantasy rather than Tolkien fantasy. Goblins are fairy-folk; elves are not goody-two-shoes expert-bowmen. It reminds me of what Earth would have been like in the Middle Ages if our myths were all true. What's the most important thing when making an RPG? To me, it’s deciding what you want to accomplish with the game and sticking to it during the writing process. When I wrote my QUERP game, I had a note on my desk with the words ‘Quick and Easy’ written on it. That was my focus for that RPG, and it worked. Having that note in front of me each time I was writing reminded me to stay focused. What have you got coming up in terms of the Fabled Lands RPG and other RPGs that you publish? I am actually done with Fabled Lands, as I have left Greywood Publishing. I am about to release a new wargame called ‘Battlemage’; hopefully by the time the people read this, it will be out. I am also planning on entering the Windhammer competition this year, and possibly then expanding the entry into a full-blown gamebook after that. Apart from that, there will be supplements for Battlemage to be done and then, hopefully, I may get to work on a new RPG idea I have had. My main problem is I work a 50-hour a week job right now and have two young boys, so my time working on these projects is severely limited! The future of gamebooks is bright, and I think we will continue to see them be developed, maybe not in print, but certainly in electronic format such as on tablets and smartphones. Tin Man Games, publishers of the Gamebook Adventures series, certainly have the right idea and seem to be quite successful. I don’t know how well they are selling, but based on favourable reviews and the fact they have already released eight books, as well as having many more in the pipeline (including the Judge Dread line and Gun Dogs, which features Gary Chalk as an illustrator) they certainly seem to be doing alright. So, I think we will continue to see many more interactive fiction and/or gamebooks in this format. Can’t wait! Battlemage comes out on April 10th. The full pdf will be available for a mere $5.99. You can also keep up with Shane on @CrymsonKnight and www.facebook.com/shanegarveyauthor.